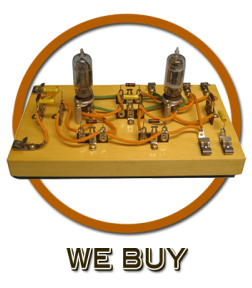 If you have hi-fi audio equipment to sell, we would be happy to make you an offer. Call us at (213) 273-8904, e-mail us, or use the link below to request a quote. We pick up your equipment and make the entire process hassle-free. To see a list of brands/manufacturers that we are currently buying please click here.